The President Giuseppe Rossi, the General Director Filippo Trifiletti and the staff welcome to the 43rd European Accreditation General Assembly. 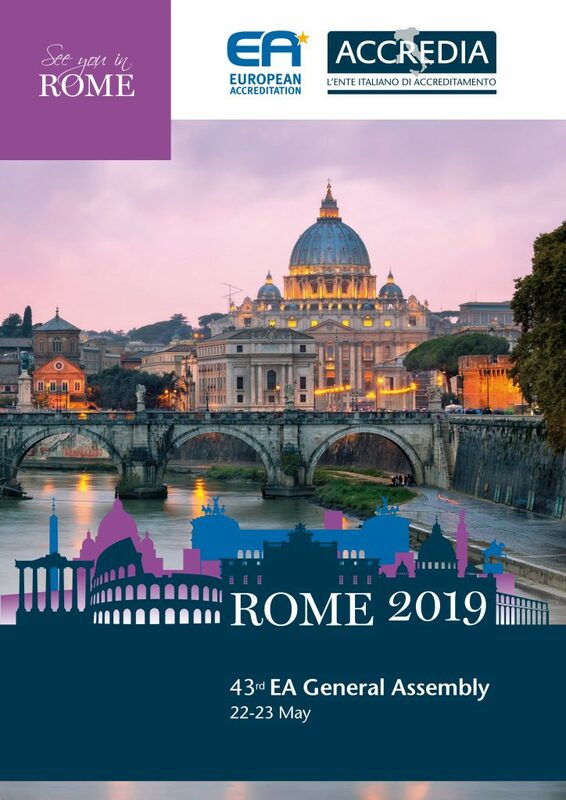 It is our great pleasure to announce together with EA the 43rd General Assembly of the European co-operation for accreditation, which will take place in Rome on 22nd and 23rd May 2019. It is a privilege for Accredia, the Italian Accreditation Body, to host this important event and welcome representatives from all National Accreditation Bodies and EA Recognized Stakeholders. The meeting will provide an invaluable opportunity to enhance collaboration and to strenghten the credibility of accreditation as a tool delivering confidence for businesses, consumers, regulators and marketplace. Our role is constantly increasing at a time when the importance of conformity assessment in the promotion of international commerce and in the realization of government objectives in their economic policies is an ever-expanding process. Indeed, we believe that the rules which govern our sector constitute an opportunity for greater competitiveness for our national and international regulators and our business enterprises as well as a guarantee of protection for consumers worldwide. The context will be a special one as it also constitutes a glorious chance to see the beauties of the Eternal City and to enjoy italian food and wine specialities. Registration for the 43rd EA General Assembly will be open, and meetings programme will be published on the dedicated website. EA GA rooms have been blocked for participants at the meetings venue, the NH Roma Villa Carpegna hotel, and other hotels nearby have been selected for your convenience. Book soon! The organization of the event is centrally managed by Accredia communication partner Triumph Italy srl.